“Dopamine is the world’s first actual computer case designed specifically with mining in mind. As a happy byproduct of its design, it works just as well for extreme gaming setups and test bench purposes”, the company wrote on Indiegogo. With room for so many cards, the Dopamine promises to be a powerful friend to any crypto-miner. The chassis is composed of three fan mounts on the bottom of the case to assist in circulating airflow and can also handle two power supply units and a range of motherboard form factors, ZDNet reports. With 42 days left in its campaign, Red Harbinger already gathered almost half of the necessary funding, a total of $20,000. The remaining can still be donated until April 4th. Getting a Dopamine only costs $200 (for United States-based donors, add $50 if you live outside of the country) and you can even choose a black or white model. 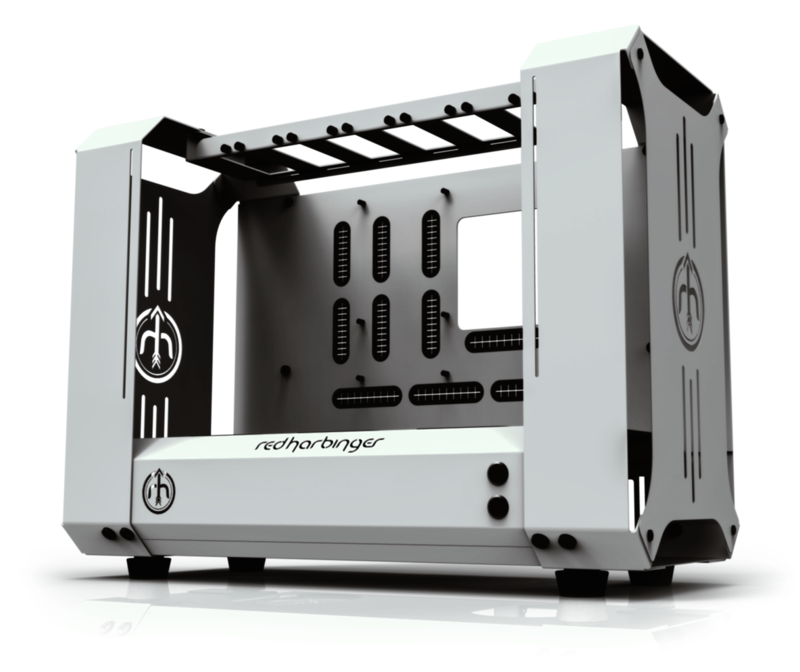 Red Harbinger also offers another option: a fully configured rig – the Dopamine equipped with motherboard – for $4,999. In case the company gathers the necessary funding, the forecasted delivery dates for shipments are July and August 2014. Not quite the first, http://www.newegg.com/Product/Product.aspx?Item=N82E16811119290 – this one is “Compatible with bitcoin mining” *facepalm*. Most of us here would get a laugh out of this but for the newbie this is great marketing! My open air aluminum tube frame chassis cost $80. Looks cool but $250? No thanks.